HAVE FUN CREATING SKETCH PORTRAITS USING THIS APPLICATION'S REVOLUTIONARY TECHNOLOGY. Based upon the face sketching system used by some of the world's top police departments. - You can learn how to draw any face with ease. It just takes one finger, and in a few minutes you'll already be creating professional-style sketches. - Soon, you'll also be able to identify the main points of physical variation in the shape of the human face. 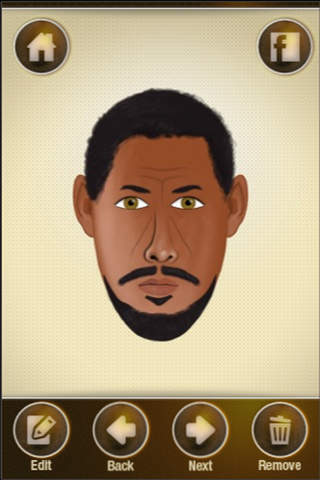 - Try a game where you make police sketches from the descriptions given by the other players (for example, dark skin, Asian features, green eyes, curly hair, long nose, etc.). - Find out what it feels like to be a real CSI sketch artist. - Make sketches of all your friends and save them on your iPhone, or upload them to Facebook. - Make drawings of your favorite celebrities, and then compare your versions with those that your friends create. 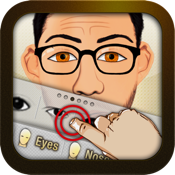 FACE Creator is an application suitable for all ages: children, teens, and adults. Learn how to draw while having fun too!